You can get a digital (personalized) copy of this book for free. Distributed systems often appear to be highly complex and intertwined networked systems. Touching one component often affects many others in surprising ways. 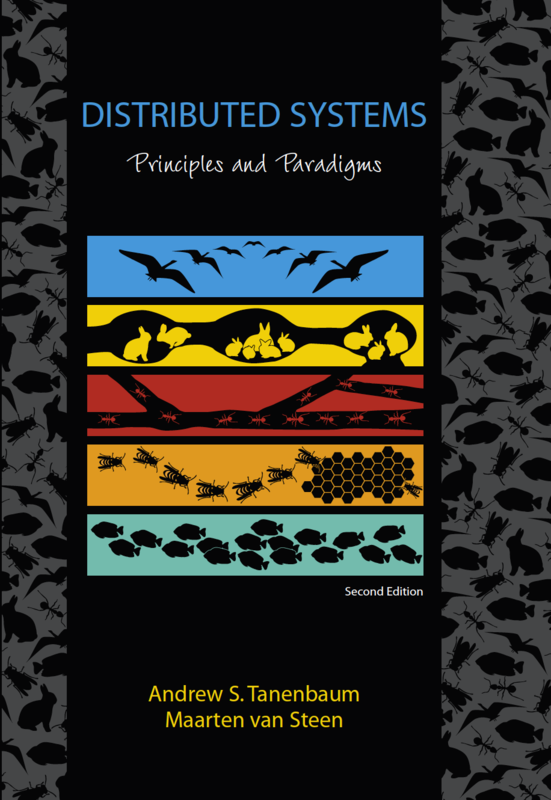 In this book, we aim at explaining the basics of distributed systems by systematically taking different perspectives, and subsequently bringing these perspectives together by looking at often-applied organizations of distributed systems. The book is now in its second edition and has been updated to its third edition (expected to be available in February 2017). The original (expensive) version can still be bought, but I advise you to download the digital version, perhaps accompanied by a hard-copy version available through Amazon. The book is accompanied by material that I developed for my own courses (you may want to postpone downloads if you’re currently on an xGS connection). An official set of PPT slides developed by the publisher. A set of PDF slides that I developed and maintained for my own courses. The Latex sources are readily available as well (note that slides on security are missing). All figures from the book are available in PDF and EPS format. In the Fall of 2012 I screencasted my lectures, which were used to actually teach the course also at Amrita University in India. Because the downloads are hogging my server, please drop me a note if you really need them. Don’t forget it’s older stuff (2nd edition). There is also a solutions manual available. If you’re looking for questions and answers, you may find the set of exams that I used for my courses useful. Copyright © 2019 DISTRIBUTED-SYSTEMS.NET All Rights Reserved.